So today is gonna be different. It all started with a cryptic tweet from Lizze Bennet Diaries show runner Bernie Su “So today is gonna be different.” The fans of the Emmy award winning Lizzie Bennet Dairies were treated to a nice surprise video on the morning of May 22, 2014. Over a year has passed since the 100th episode of the series and the last video posted to Lizzie’s channel. Now Lizzie turned back on her camera. A student also asks Lizzie about how accurate her recreations, were to the actual events. Lizzie of course insists, “She forgets nothing” and besides leaving something’s out for time her costume theater was always telling the truth. Although even she admits that Lydia’s interpretation of Bing Lee might have been less faithful then the rest of them. Lizzie then gets a question asking about her relationship with one William Darcy (played by Daniel Vincent Gordh.) She is reluctant to share about her romantic life stating that one reason that she stopped making video in the first place was so that her and Darcy’s life could have a chance away from the camera. She then tries to move on to non-Darcy questions only to realize that is all the students’ want from her. She expresses surprise that her old professor even let these questions go threw till she sees that Dr. Garden submitted one herself. Lizzie decides that she might be able to talk to Darcy to see what he is comfortable with her sharing when the words “excuse me Lizzie” are heard and everyone favorite hipster enters the room. He appears as shocked to see his girlfriend filming a video after a year, as her audience was to see one. She then ends the video with the promise she will be back with more answers about Darcy. 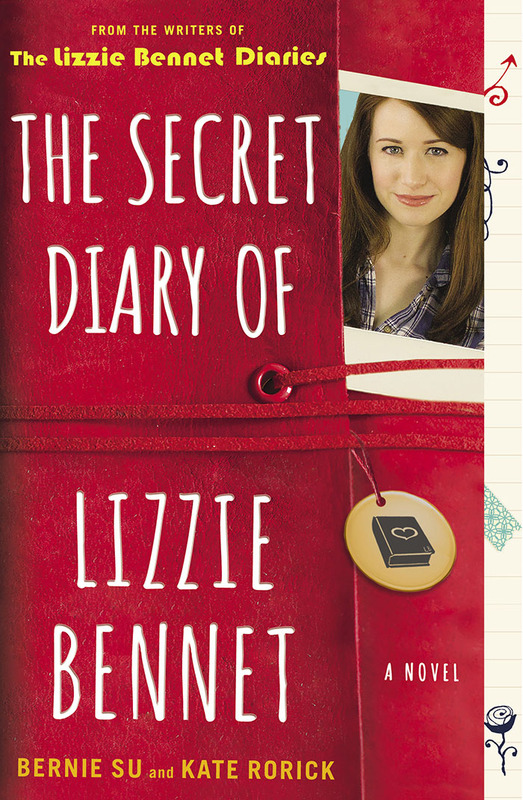 Lizzie’s return is to get the audience excited for the up coming The Secret Diary of Lizzie Bennet. It is a novel that will give the Lizzie’s fans an even deeper window into her life and comes out June 23 but can be preordered here, or read an excerpt here. Pemberly Digital has had a lot on their plate since the end of The Lizzie Bennet Dairies such as the web series Welcome to Sanditon and Emma Approved (which returns from a month hiatus in June) which can both be found on their YouTube channel. They also recently announced they will be making another show Frankenstein MD, an adaptation of Mary Shelly’s Frankenstein, in conjunction with PBS. If you want to learn more about Pembelry Digital, you can find them at pemberlydigital.com.